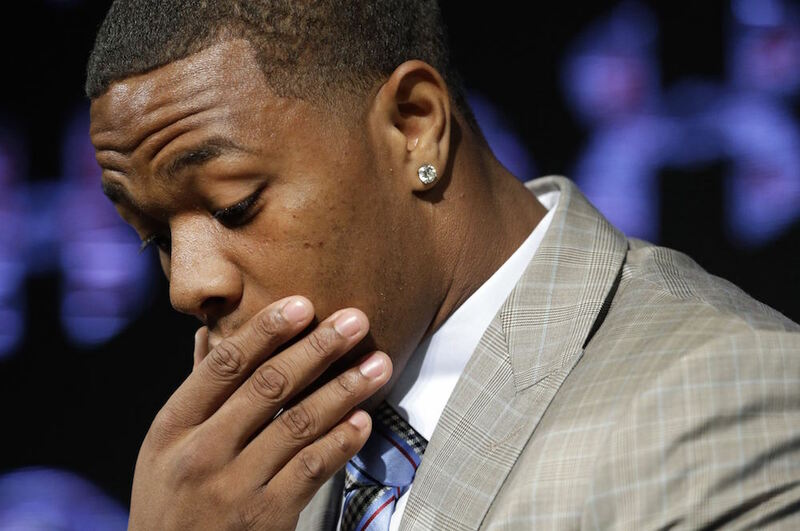 (CNN) — Ray Rice, the embattled Baltimore Ravens running back, told Matt Lauer in an interview on the “Today” show that “the only thing I can hope for and wish for is a second chance.” Rice was captured on film delivering a knock-out punch to his fiancee, now wife, in an Atlantic City hotel elevator. I don’t think he should get that second chance he is asking for. Domestic violence is an outright attack against women — individually and as a gender. While I know from 30 years of experience as a criminal defense attorney that domestic violence is not limited to female victims, the overwhelming percentage of domestic violence events are men using their physical strength to overpower women. It is an insidious assault upon our mothers, sisters, girlfriends and wives. As a society, we tolerate far too much of this type of abuse. We cannot tolerate it any longer, especially from celebrated public figures. They may not all deserve it, but celebrities are idolized in this country. From Hollywood actors to sports heroes and recording artists, we have created an extraordinarily special class amongst us. Great benefit and great advantage comes with such celebrity, and whether they like it or not, great responsibility comes as well. Sometimes, celebrities fail to live up to their responsibilities. Rather than forgiving the dalliances and sins of those whom we have made demigods, we owe it to our children (the ones who are looking up to these demigods) to hold their heroes’ feet to the fire and send a clear message. If we are going to pay somebody tens of millions of dollars to make movies, play sports or perform on stage, then we should also let them know that the privilege we have granted can be easily revoked if they fail to act responsibly. Rice made himself a celebrity when he accepted a $35 million dollar contract with an NFL football team. When he punched his fiancee in the face and dragged her unconscious body out of a hotel elevator, he violated a public trust, and he shouldn’t be allowed to play football for the NFL anymore. Admittedly, this zero tolerance policy argument flies in the face of the mitigation that I always argue on behalf of my criminal clients, but most criminal clients are not role models to millions of fans. Just like Donald Sterling, who was stripped of his ownership of the LA Clippers for making racist remarks, Rice should learn that if you’re going to bear the fruit, then you must also bear the burden. When we tell domestic abusers such as Ray Rice, in such a public way, that it’s OK to knock out your wife and drag her out of an elevator, then we are telling everyone it’s OK. We’re telling the young boys and teenagers who wear Rice jerseys that hitting women is OK.